Its finally a wrap in terms of all the festivities and gatherings. While its great fun dressing up, enjoying the large feasts, lighting up sparklers, it also tends to wear you out especially if you are constantly having late nights! Okay that’s probably enough for you to understand my absence from the dashboard..
Let me pick up from the last Weekly Trend post..’all about brights’. Whether you are a daring dresser or conservative one, you are sure to find some inspiration here on pairing the colours that work best together and in what proportions. Neon yellow and fuchsia do make a nice pair, the idea is to use specks of one and let the other one dominate. Best to use neutrals in the blend, as you can imagine colour blocking these in equal proportions could have quite a drastic effect! 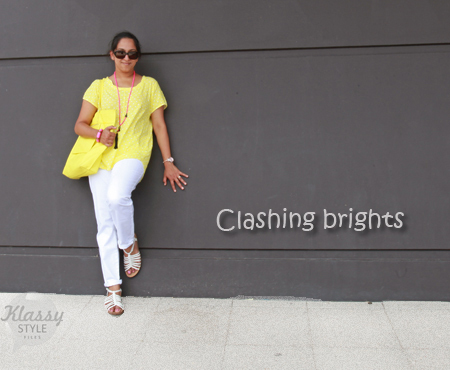 This season I am totally loving yellows and oranges for making bright statements. Another colour that works fabulously with yellow tones is blue, whether its cobalt, navy or Prussian. 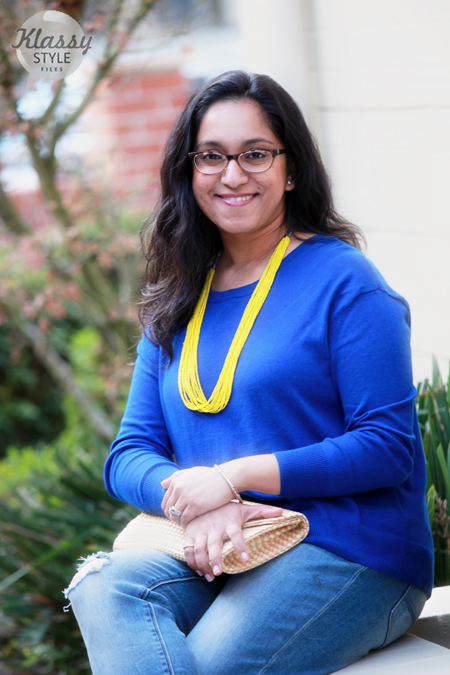 Clashing cobalt and bright yellow is fresh and interesting. Once again, proportion is everything. Keeping the outfit in the same tone and adding pops of colour through the accessories, lifts the look yet keeps it balanced. 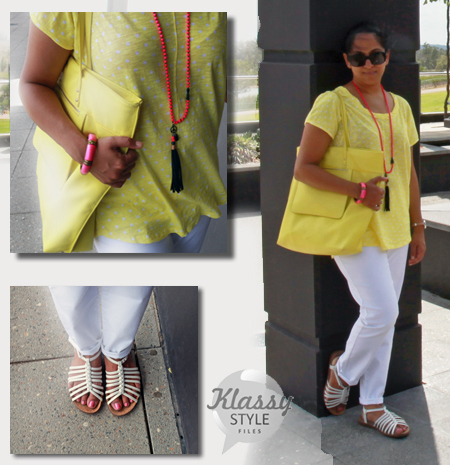 The neutral element here is the straw clutch that adds an earthy tone and doesn’t overpower the ‘clashing brights’! The ripped denim adds a bit quirk and raw edge. Agree? 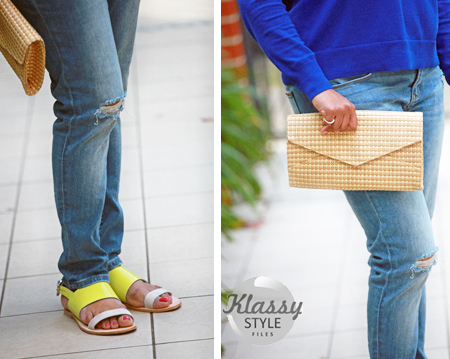 Do you have a favorite formula to clash brights in your wardrobe? Would love to hear all about it.. Yes I totally agree. 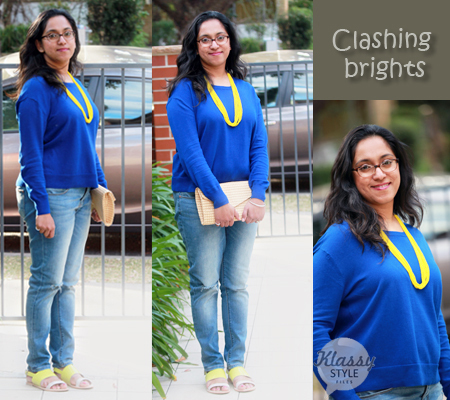 This color clashing looks fabulous on you. Neons are great for being that oomph to the entire look. oh my gosh..i love both the combos. I loved the 1st one Kalyani. Very comfortable! Very chic!